Before I became a mum I was under the impression that the fun stuff was the big days out, the celebrations or even the playing you get to do in the garden or the games of tickle and the laughter from the unbridled joy of childhood. Yet when I actually became a mum those 5 years ago, I realised that actually it was the smallest of moments that were the best. 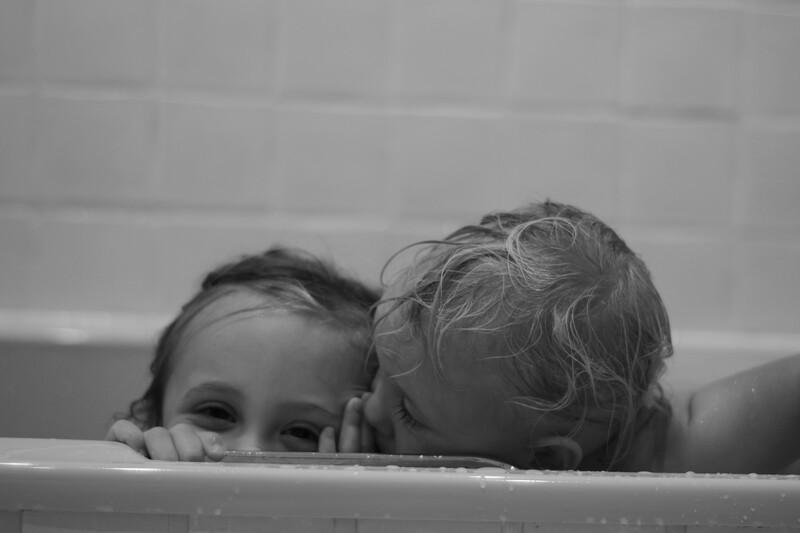 Bathtime and bedtime were one of my most favourite parts of any day. 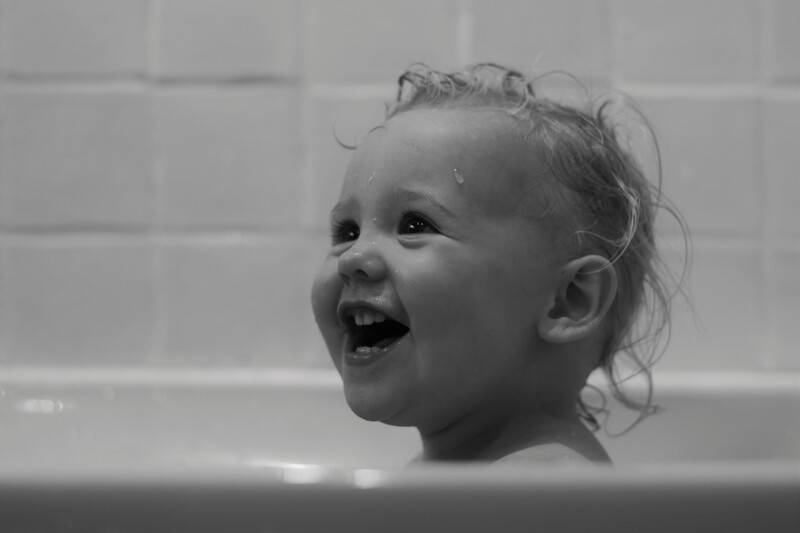 Although to start with her allergies and eczema meant Eva wasn’t always a massive bath fan as soon as she was out, wrapped up in a towel in that oh so cute way that makes any child look angelic, cuddled and warm in my arms, she was happy, content, safe. She has always loved books and from a very early age we would snuggle together and read. I remember it like it was yesterday. The way I would sit on the chair in the bay window of our room and kiss her on the head. Take in that intense smell that now is just a distant memory and smile at the way her tired eyes would droop as she fought to keep them open for the last book. On the days that had been wonderful I would replay them and feel a little flutter in my heart that we had spent the time together and that she was mine. And on the ones where I counted down until bedtime I would relish the fact that she would soon be in slumber and that we got another go at it tomorrow, that this was forever, and that for now we had our our calm time. When Eva was little Eddy worked 12 hour shifts so on his work days come bedtime we would either be saying goodbye for the night or he would just have time to pop her a gentle kiss on the head when he came home. For those days it was our special time. Of course when he was home he would take over and put her to bed but generally I wouldn’t mind. It wasn’t a hardship, it was a moment that I loved, that I treasured and that I would re-live again and again given the opportunity. Due to the fact that I have hypermobility syndrome – which means that although I try to manage it well I live with pain daily – the demands of motherhood mean by the end of most days I am definitely in need of rest and recuperation and for me this down time to enjoy each other was always perfect. When I was expecting my littlest, Eddy no longer worked shifts and although we of course did share the bedtime routine we thought we would prepare her for the inevitable time I would have to take with the baby at this time of day. She is a Mummy’s girl and still to this day she would choose for me to put her to bed every night. It worked well and I am thankful for her mature nature as once the baby arrived she would feed for 45 minutes at this time before sleeping a long stretch, sometimes with a dreamfeed and waking once in the night. In some ways we couldn’t believe our luck. Eva was so understanding and would rarely moan and just be excited if I had managed to put Roma down and be in time for the bedtime story, and so was I! Fast forward a few years and although I still love bathtime and bedtime with Eva, I still love to read with her, snuggle, sing songs and talk about her day I am pained to admit I now dread this time with Roma. It was all going so well, and then something happened. At 16 weeks old (and yes I remember it vividly) Roma learned to roll over and went from a baby who was settled in sleep and waking once a night to….well I am not even sure. Since then it seems to have been one thing after the other. A blur of one disturbed sleep patch to the other. She crawled at 20 weeks and at a tiny just turned 9 months took her first steps. All of which seemed to in turn disturb her that little bit more. New teeth, slight illness they all unsettled this seemingly brilliant but now so light sleeper. I know I wrote about this a few months ago here and part of me doesn’t want to admit we are still here but now 19 months in and we are. She is still fighting sleep on and off, night and day and being people who love routine and having it work for Eva, we remain utterly baffled. And now of course we are so tired that most days (and nights) are a battle of survival, and not disturbing Eva. As I write this it is 8pm, I have tried (and failed) to put her down. For an hour. She drinks milk, we read stories, turn out the light, sing songs she now joins in with, which makes me smile to hear, and it is all so very lovely that I think this will be the night. the night when the magic happens and after she says night night Mummy she turns over and goes to sleep until the morning…. Then I put her down. I put her down and it all start. She cries, stands up, she shouts for daddy. I lie here now on the bed in floods of tears as Daddy comes to rescue her – and me. The tears keep flowing and I cannot make them stop. I’ve tried again, and I’ve failed again. I do not know what to do. I do not know what I do wrong and therefore what I can do right and trust me I would do anything, have done everything. I go into each and every day with a positive outlook to appreciate every minute and make her feel safe, and loved, yet it isn’t enough. She is a daddy’s girl through and through and I am ok with that. It’s lovely, it’s natural, it’s instinctive and we sometimes joke that at least we have one each. But there has to be something I can do. It is worth saying that it isn’t always me, it can be him too but by the end of a long day he has the energy and the stamina that I lack. I feel utterly guilty for that. Guilty that I have too much pain to stand by her cot or hold her until she is in a deep enough sleep to walk out. We’re 19 months in and at the stage of chronic sleep deprivation you expect when they are a newborn. It’s not what I expected or can accept. Of course once she is then finally asleep and we have made dinner, cleared up and it’s approaching 9pm, all I want to do is relax. My evenings should be for blogging, I want them to be, to be for something I love. And the difference it makes when she does goes straight to sleep are immense. At the moment though I am struggling to either find the time or the creative thought to write when it is so darn hard to even think straight. But I must, I must keep up me and I must have something more than surviving in mind. Anyway this isn’t supposed to be a post about sleep or lack thereof but about bathtime. THIS has now become the time I enjoy, almost the calm before the storm. 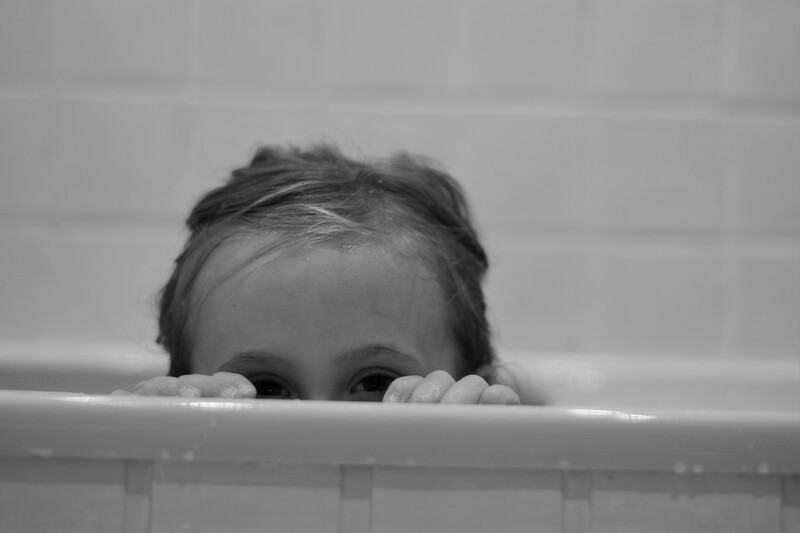 Sometimes I will come up to run the bath slightly early, get in and have a soak and then I will hear the familiar sound of footsteps on the stairs, the biggest one striding ahead and the clambering sound of the littlest. They walk in and are always so excited that I am in the bath and they get to join me. Roma dipping in her hands because she just can’t wait one more minute and before I have confirmed that the temperature is ok Eva is standing there waiting, clothes scattered around her feet. It is really lovely and it feels so special still to be able to enjoy that time with my little ladies. We laugh, they splash, we play and talk and there’s no distractions. We play the sink or float game, spell words out on the tiles and try to stop Roma from either drinking the bath water pretending it’s tea or splashing Eva right in the face! Tonight as I was thinking of getting out, letting them have just a little more room and a play whilst I got ready for the bedtime routine, I thought about what I might write for my ordinary moments this week. It’s been a week of adjusting to school life once again and honestly not too much else to report, we have just pottered doing bits and bobs and I have taken hardly any photos at all. So I got my camera and snapped a few photos because of all the moments this week, this is one I want to remember the most. 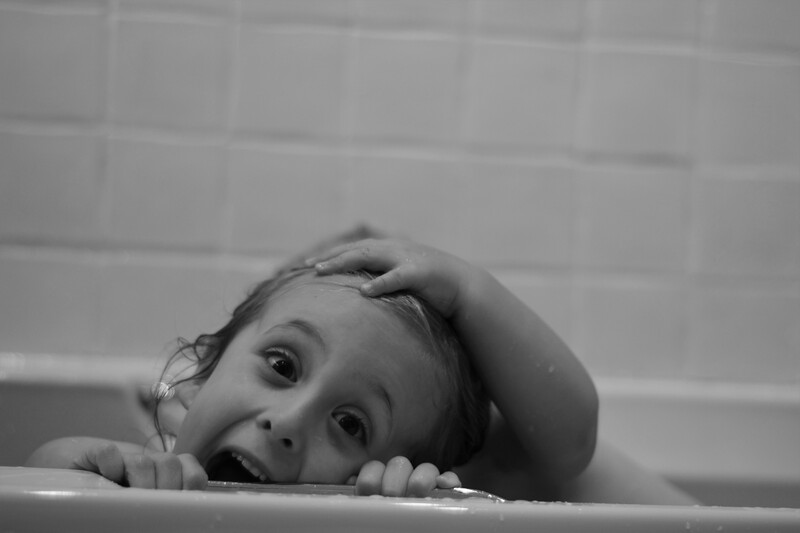 Simple, ordinary, crazy bath time fun. Ah lovely there is nothing quite like sleep deprivation but please don’t ever think you are failing – you are doing amazing and it will come. Go easy on yourself. I love your pictures, I feel quite sad reading this as I think I missed out on the whole joy of bathtime. I guess when they were younger I was so tired and ready for bed by the evenings it was just another job on the list to be ticked off if that makes sense. Our bedtime routine has gone out the window and I am struggling of an evening trying to get my eldest to bed. She used to be such a good sleeper but all of a sudden its become a battle, you’re not alone!